Mumbai’s Charcoal Eats Just Came To Delhi & Here Are 5 Things To Try! Looking for delicious food minus the guilt of eating out? Looking for wholesome food, free of artificial colours, MSG and over the top oil but without compromising on the taste? Head to newly launched Charcoal Eats outlets (they are at three locations including Sector 40 and DLF Cyber City in Gurgaon and Netaji Subhash Place in Delhi). Tuck into this delicious Chicken Kheema blended with rich spices. 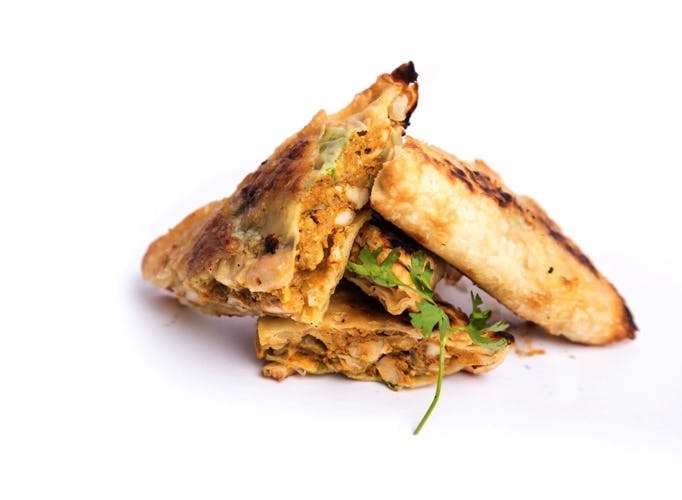 Fall in love with this combination of meat, potatoes, green peas and a signature blend of spices, cooked on dum and paired with flaky, hot Malabari parathas. No kidding, this is the perfect soul food. Ditch the old triangle pizza slices and try these new and fancy Puff Crust Pizza squares. This new version of your favourite dish has replaced the boring old flatbread with a unique, crunchy khari base. Enjoy this new avatar of pizza with toppings like Bombay Masala Chicken or Veg Peri Peri. There’s something for everyone, folks! If you haven’t already been blown away by all these amazing dishes, Charcoal Eats serves five distinct, but equally delectable flavours of biryani. Try their signature creations like the Afghani and Makhani biryani or go for classics like the Awadhi and Tikka biryani. For those who like their biryani fiery, try the Classic flavours. Vegetarians rejoice, Charcoal Eats offers delicious vegetarian options in each of their flavours. This Ramzan special will be the favourite of all the foodies who dig good ol’ comfort food. Indulge in this heavenly dish of chatpata chicken mince cooked in a blend of spices, wrapped in an egg roti and cooked till crisp. This is something you simply cannot miss! Big fan of fried potatoes? Try their Loaded Fries, a blissful mix of your favourite French fries topped up with their special selection of spices and sauces. How cool is that? Their Barbeque Loaded Fries is an absolute house favourite with fries, spices, barbecue sauce and garlic mayo. Charcoal Eats prepares its food at best-in-class, modern, hygienic kitchens, using high-quality ingredients. To get exciting updates about Charcoal Eats check out their website . You can also follow them on Facebook & Instagram.